Update: This post was migrated to our new blog. Today, we’re excited to announce the initial release of Blockstack Core - an experimental system that implements decentralized naming and secure data storage on top of a blockchain like Bitcoin. Before we dive into what this is all about, let’s first provide a little background. Why a new key-value store? We consider decentralized naming and identity to be one of the most powerful applications of the blockchain, and we are proud to be building on top of and helping drive forward the Blockstack identity system. We have always stated that something like a blockchain-based identity system could ultimately live on any blockchain and we are hoping this will show that to be true. 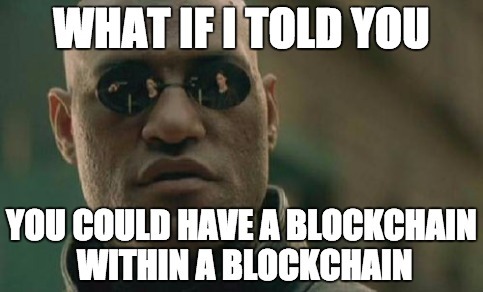 Right now, there’s an implementation on the Namecoin blockchain, but names could just as easily be ported to sidechains, a logic-heavy blockchain like Ethereum, or protocols like Counterparty that build embedded chains of consensus on top of the Bitcoin blockchain (let’s call them topchains). Cryptocurrency developers highly value the ability to build on the strongest and best-supported blockchains, and because of this we decided to take a crack at releasing an experimental system on top of Bitcoin. Based on the Bitcoin blockchain: see above. 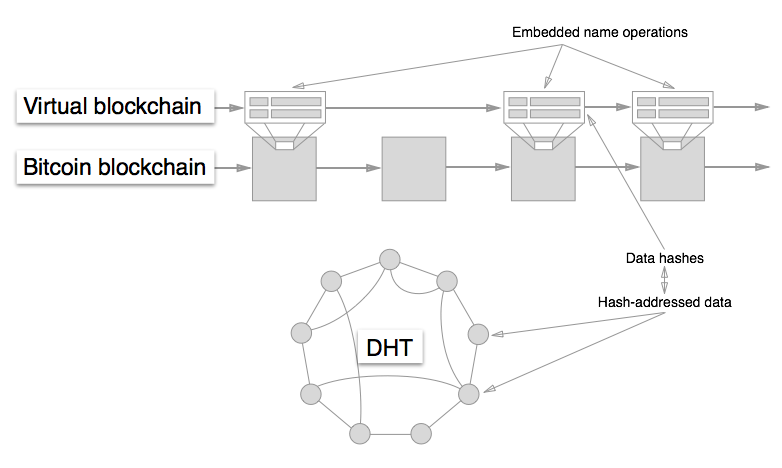 Unlimited data storage: Storing large amounts of data in the blockchain can lead to blockchain bloat, so we decided to initially use a DHT (distributed hash table) for data storage while storing only hashes of the data in the blockchain, yielding virtually unlimited storage. Give money back to miners: Miners provide critical infrastructure for the Bitcoin ecosystem and we believe that any services built on top of Bitcoin should contribute to Bitcoin mining incentives. End-to-end design principle: The end-to-end design principle of keeping the core of the network simple proved to be very successful for the Internet, and we believe this is a good decision for blockchain applications as well. Thus, we use the blockchain for a few basic operations and keeping most of the intelligence client-side. You can check out our codebase and documentation on Github for more information. We’re releasing Blockstack Core simply as an early experiment and are calling on the Bitcoin, Namecoin, and cryptocurrency communities for feedback. When it comes to building the next generation infrastructure that is going to power the future of applications, it’s important to consider a wide range of design choices. We hope that Blockstack Core adds to this healthy debate and blockchain-based key-value stores become more reliable, secure, and full-featured as a result of this experiment. * An earlier version of this post used the term Blockstore. This post has been edited to reflect that Blockstore's functionality was later merged into Blockstack Core.